Prince Uldren: Look at it from the House of Kings' perspective. Their power is matched only by their cleverness. They rule the Devils from the shadows and came too close to toppling the City not once, but twice. We don't know much about them, but we know this: the Kings want the Traveler. So why would they give it all up just because some outsystem Wolf runs in calling himself Kell of Kells? The answer is: they wouldn't. Petra Venj: But what if Skolas could somehow prove to them that he's the prophesied leader? Some artifact, or trick? Yasmin Eld: Perhaps a new power, even. Prince Uldren: No. 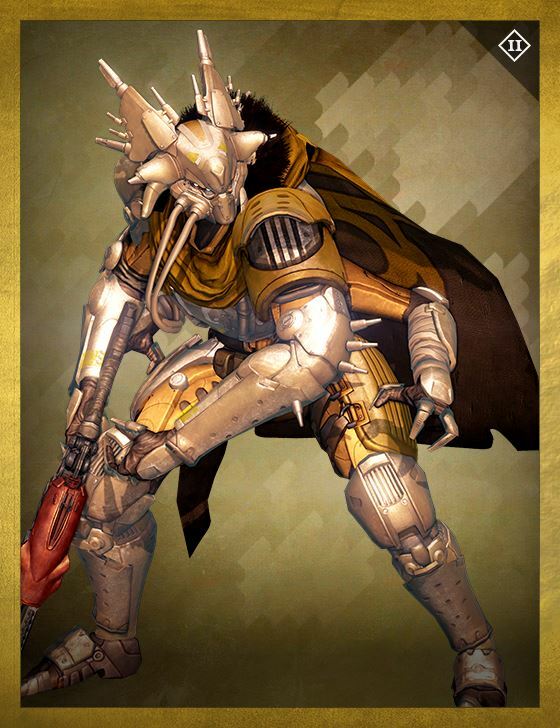 Short of the Traveler itself calling Skolas by name, the Kings would not just roll over for anyone, no matter what. They're too ambitious. Petra Venj: You sound like you admire them. Prince Uldren: Power cleverly deployed is always worth admiring. Yasmin Eld: So why send the King Barons?